As the world gets more on more conscious of the waste that they are producing and recycling is becoming a common practice at home and in the work place. Now it is possible to recycle most materials quite easily. So a good point to remember when filling your skip with waste, try to sort the refuse into plastics, glass, metals and other materials that can be recycled. When ordering a skip for hire it is important to be realistic about the size of skip that you need. If you order two skips it will be much more costly than ordering one, larger sized skip. Skips can be hired for general waste only. They can not be loaded with fridges, Televisions or hazardous waste such as solvents or paints. 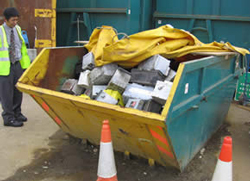 Skips are not allowed to be placed on the roadside without a permit, signage and lights if need be. 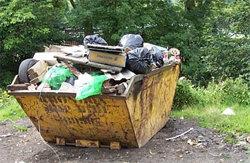 It is advised to contact us at Bude Skip Hire, Cornwall if you are uncertain where to place your skip and we will be able to advise you. Skip Hire & Waste Disposal. • Civils & Surfacing Contractors. 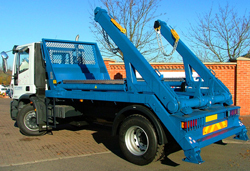 • Haulage & Plant Hire. • Quarry Materials Supplier. • Concrete & Roadstone Supplier. • Home Builders & Developers. Cheaper Than a Skip. • Rubbish Loaded & Removed. • Houses-Garages-Flats-Gardens. • Offices-Warehouses-Schools. • Licensed Waste Carrier. • 7 Days a Week. Skip Hire - All Sizes. • Same Day Delivery & Collection. • Industrial & Domestic Waste. • Recycled Topsoil & Aggregate. • Competitive Prices. • Waste Recycling & Screening.